Dr. Rodriguez chose to use the round, 4.0mm Advanta implants to fulfill this patient's desire for very full upper and lower lips. 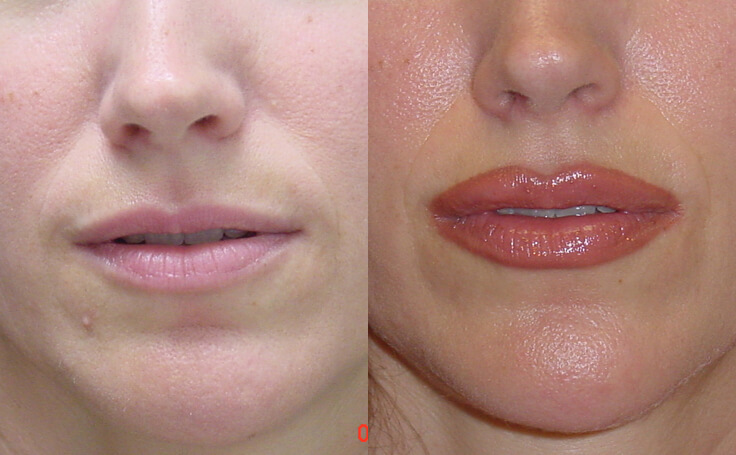 This patient had the Lip Augmentation of both the upper and the lower lips by Dr. Ricardo Rodriguez. The patient had a desire for very full lips and Dr. Rodriguez choose to use the round 4.0 mm Advanta implants. The patient had the procedure performed in Dr. Rodriguez's office in Baltimore, Maryland and returned to work in a few days.